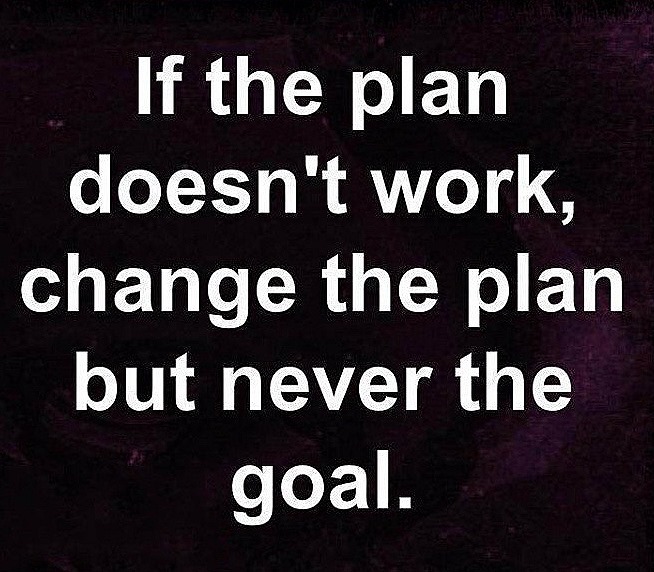 I haven’t written about my goals for years. Not because I don’t have a clear set of goals going into each new year but because I’ve been doing this for a long time and redundancy is B.O.R.I.N.G. Plus my training is non-traditional, and my volume is sometimes ridiculous. I don’t want anyone to think they should follow my lead. I finally found a great chiropractor in Ft Wayne who has made a lot of money off of me this year because of my volume & race schedule. He keeps me running even when he thinks I should go sit on the couch. Together we have learned how to juggle races/ mileage & springboard from one set of goals to the next by sacrificing speed. That’s right. If my goal is volume, I sacrifice speed. I can’t have my cake and eat it too. I gotta pick. So let’s see how I will choose to lay out 2016. The year 2016 will be broken up into 3 seasons. 1) Spring Marathon Season, 2) Triathlon Season and 3) Fall Marathon Season. 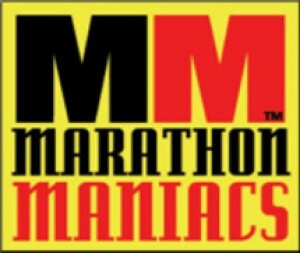 My goal race for the spring marathon season is the Garmin Marathon in Olathe, KS on April 16th. Please someone tell me that Olathe is flat and fast. Please. I’ve plugged the numbers into the FIRST Run Less Run Faster iOS app and if I can hang onto my treadmill this winter, I’m going to run 4:15 or faster on the streets of Olathe, in a sparkle skirt of my choosing, possibly dressed as Dorothy from the Wizard of Oz. Outfit to be determined. Goal time, established. 4:15 or bust. 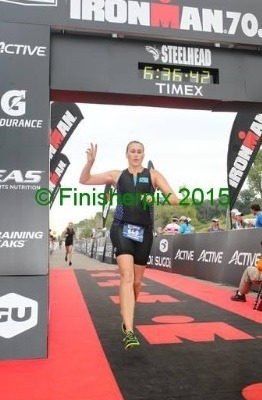 My goal race for triathlon season will be the 70.3 at Rev3 Cedar Point on September 11th. Although, I applied for the Rev3 team/ambassadorship, I was NOT selected. No, I’m not mad. I apply for a lot of things and get rejected but that doesn’t stop me from going after my goals. I still plan to go to Cedar Point and annihilate the swim, bike & run and go under 6 hours for the first time ever. Now this is the main goal of the entire year, my “A” goal, if you will. I want to break 6 hours at the half iron distance and this is as much of a dream as it is a goal. I have a lot of work to do if I even have a chance. My goal race for the fall marathon season is the inaugural Fort4Fitness Marathon on October 1st. This will be about fun and running with my friends and run club members. 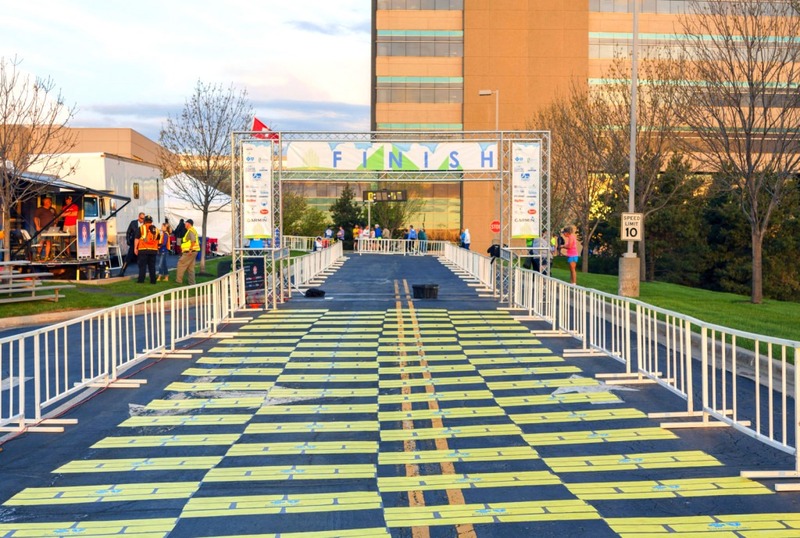 My goal here is not about speed but to get as many people as possible to the start line for the 2016 Fort4Fitness races. Marathon or not. It’s a party for the running community in the Ft Wayne, IN area and I’m excited to be part of it. I plan to run, walk, stroll and talk to everyone I see! I was there for the inaugural running the the Fort4Fitness Half Marathon in 2008 and I plan to be there for the inaugural running of the their first full marathon in 2016. Super exciting! So what do I need to do to meet these goals? I need to stay focused on my healthy eating & get off the last 10-13 lbs that I packed on during the move to Indiana. I’m focused on this. Working on it daily. It will be gone before I hit the Kansas border in April. In order to meet my “big hairy” goal for the triathlon, I need to become a better, more aggressive, faster, stronger swimmer. The term “just keep swimming” will eventually be replaced with something more aggressive and focused toward pushing the pace. I’ve never worked on my swimming, just basically showed up and swam. This will change. But first I have to get reacquainted with the water. 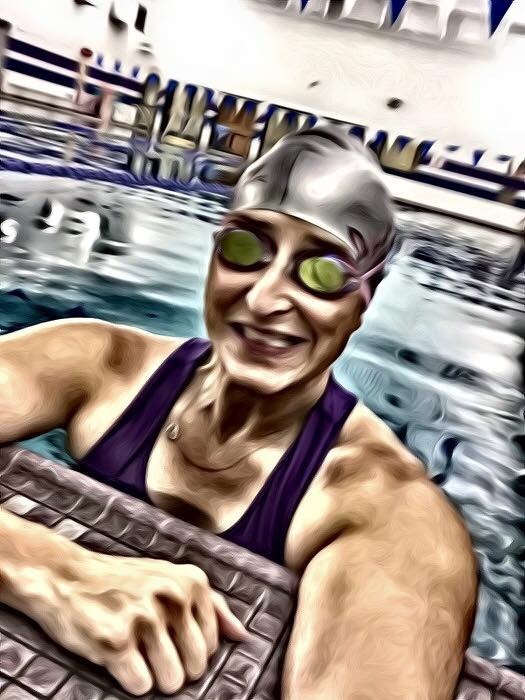 I tore my rotator cuff in August after IM 70.3 Steelhead (race report HERE) and just went back to the pool today, for the first time. It wasn’t bad for a starter swim. I made it a mile in 45 minutes. But I need to slash this time by a lot to help achieve my goal. I also think that strength work is integral to my performance related goals. I’m dedicating Tuesday & Thursday (before dawn) to my swimming & strength work. I thought I had my strength all figured out but the CrossFit Endurance class has been dropped. So I’m back on my own. But I can do this!! We’ll start with these goals and build, adjust accordingly. I think the end of the year highlight reel is important, particularly for those years that go down in history as being difficult. 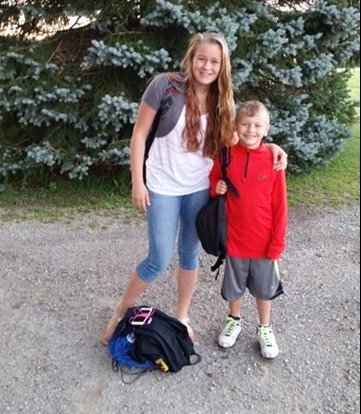 And if I thought 2014, and the move to our new home in Indiana was difficult, I was wrong. 2015 brought us trials and tribulations that would have broken most. 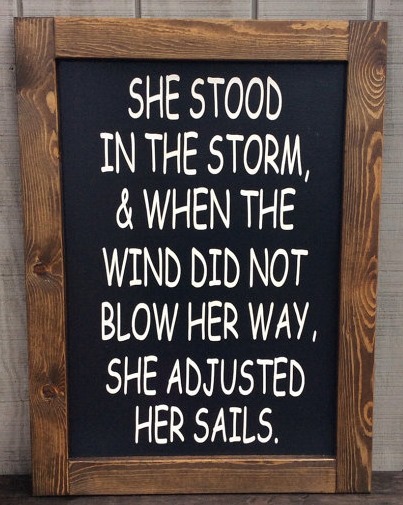 Yet we are still standing strong, just a bit weak in the knees. I encourage all of you to focus on the positive. Leave behind the negative whether it be people, habits, attitudes or memories. Grab onto the positive from each year and make your own highlight reel. When we are old & grey, nobody wants to hear sad, woeful stories but rather the ones that inspire and bring laughter & smiles. 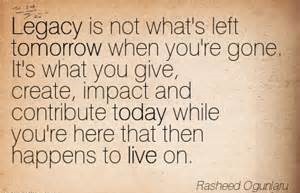 We get to choose the legacy that we leave behind, let it be a positive one. Stats – 1100 miles on foot. 900 miles on bike. Favorite pics. 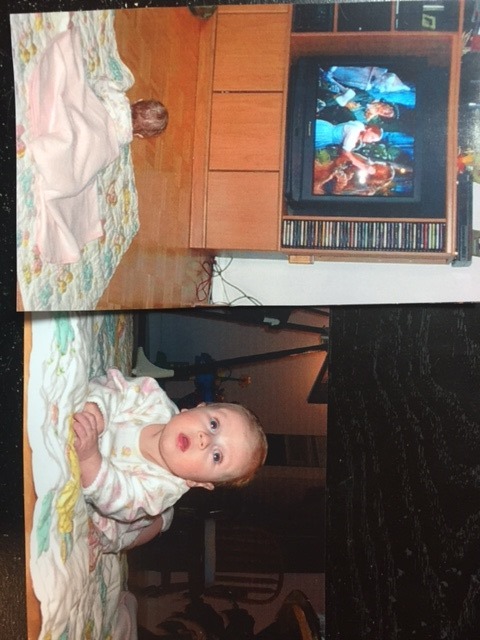 1) Kids first day of school, 2) Lilo – 2.5 months, 3) Aby’s First Half Marathon, 4) Celebrating Mom’s birthday at Dierks Bently. 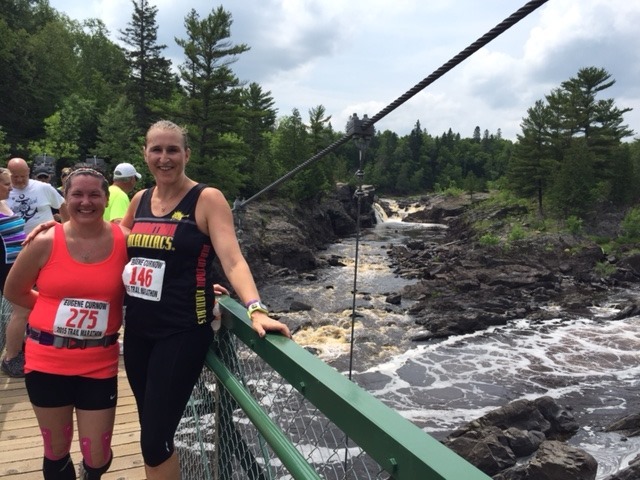 Favorite Race – Eugene Curnow Trail Marathon, which is a “practice” run for the Minnesota Voyager 50 mile ultra up by Lake Superior in MN. Took Julie & I forever to run it. So freaking hard. But we smiled the entire time. 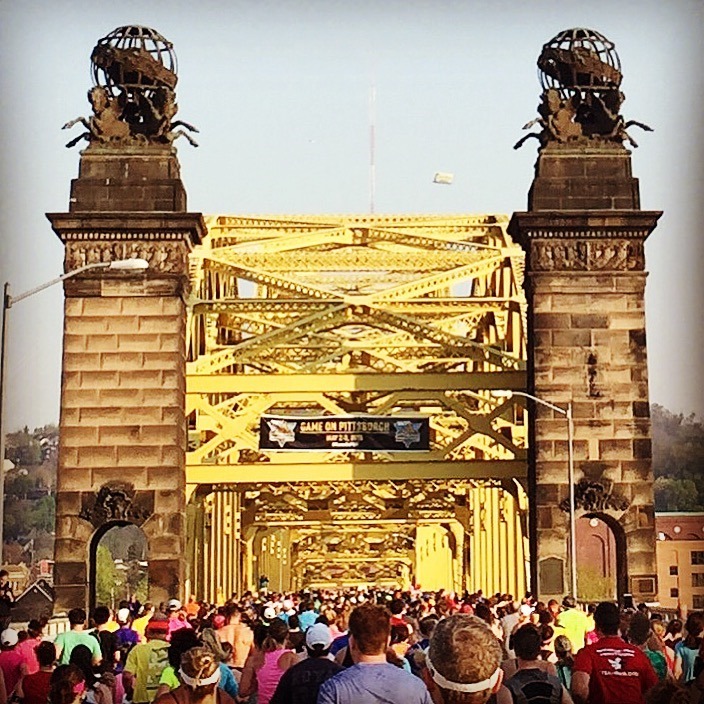 Best Bridges – Pittsburg Marathon. 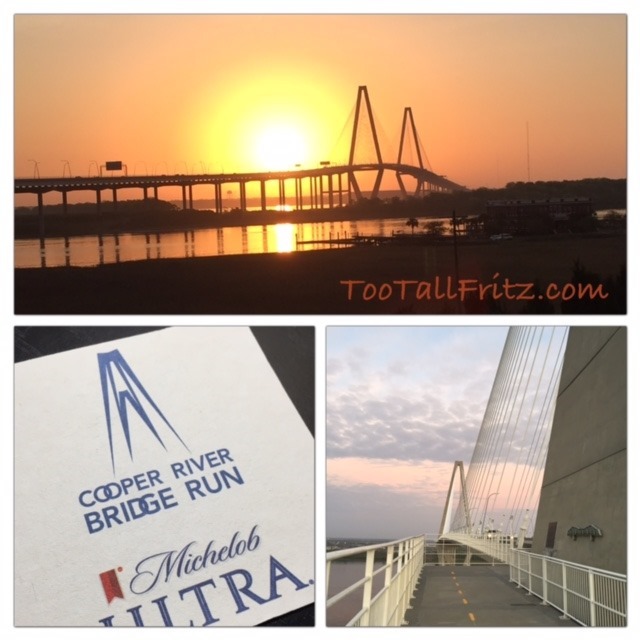 Really loved this race, town & all the bridges. 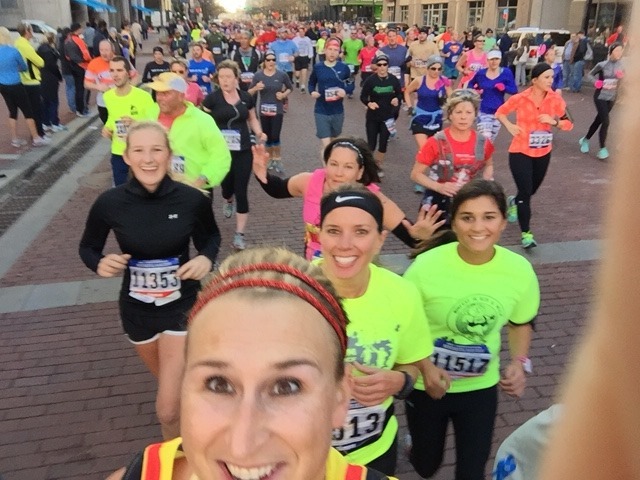 Best Selfie – Indianapolis Monumental Marathon. Me, Erin Rose, Tamyra, Missy & Julie in the back “flying”. Love this pic. In 2015, I checked 6 new states off my list: Missouri, Pennsylvania, Iowa, California, Minnesota & Oklahoma. My goal to run a marathon in every state is ongoing as a long term goal. 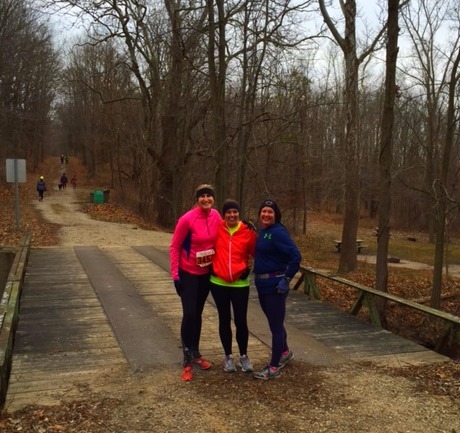 I love the adventure and the road trips with my run friends. But I also like to support local races, help my friends and run group members achieve their goals and run iconic races that just so happen to be in states I’ve already checked off the list. 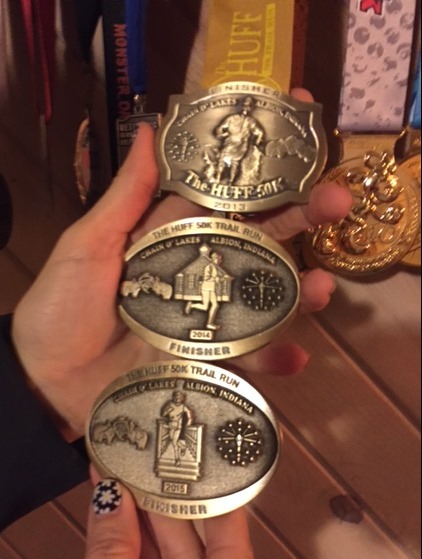 I’ve ran 15 states thus far and the journey will continue well into the future. One state at a time as the family & budget allows and as my run friends can fit travel & new states into their schedules. As we close in on 2016, I first and foremost pray for a healthy, happy family, then a healthy body that can continue to pursue goals at whatever pace seems manageable. 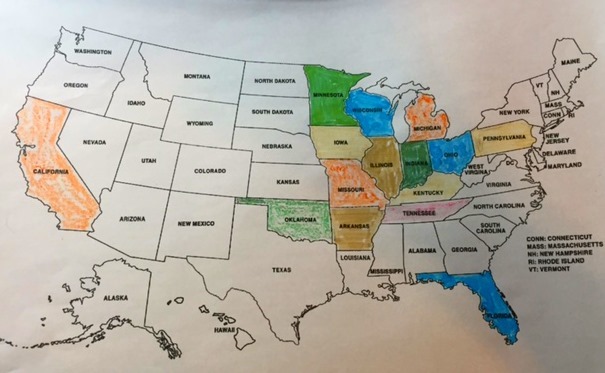 I hope to color in a few new states on my marathon map and participate in a few more 70.3 triathlons. 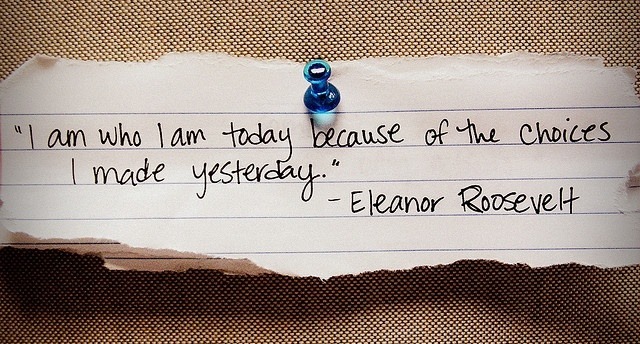 I’m looking forward to a fresh start, new goals and the beauty of the unknown. Cheers to 2016! I hope it’s the best year so far for my family & yours! Winner of the Garmin Marathon FREE Entry & Still Searching for the Flying Pig Winner! Merry Christmas, all!! 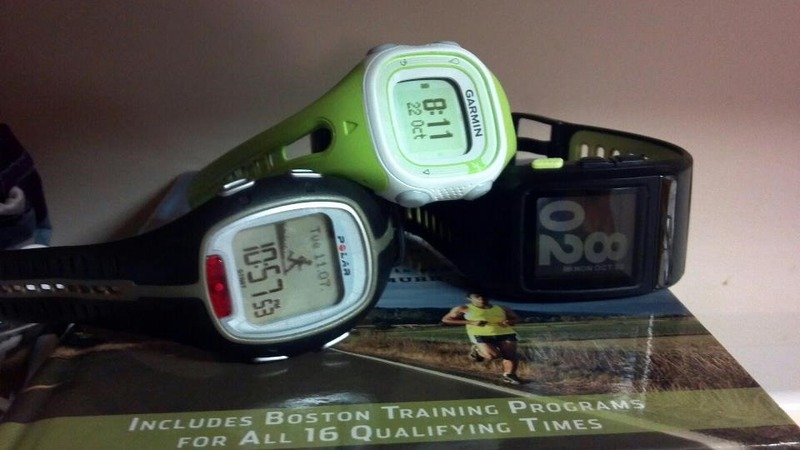 I just finished recording all the entries into the Garmin Marathon Giveaway. I’m thrilled with the response, we had 359 entries for a small town race in Kansas. So who wants to go run the Land of Oz? I know, I do!! But I’m already registered. 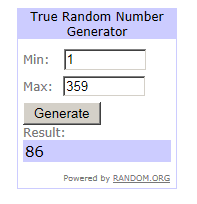 Our winner was #86. Judy Fishbaugh! Judy, please email me at Amanda @ TooTallFritz.com. I will need to verify that you are a follower of the Garmin Marathon on Twitter, so please send me your Twitter handle first! Then we’ll get you set up with a free entry! For the rest of us, we can register for the Oz Run, HERE. I hope to see you in Kansas on April 16, 2016!! If you are making the trip, definitely let me know. I’d love to meet you!! 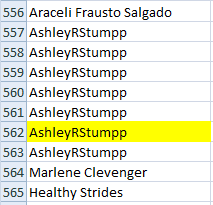 ****Side Note – This is the LAST CALL for AshleyRStumpp who was the random winner of the Flying Pig Marathon Giveaway. I haven’t heard from Ashley & I even sent her an email. If you know her, have her contact me ASAP. 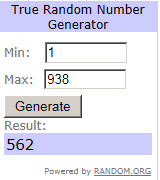 Otherwise, I’ll be drawing a new winner for Flying Pig. I hope all of you have an amazing Christmas. Have fun, be safe & enjoy the crazy family time. 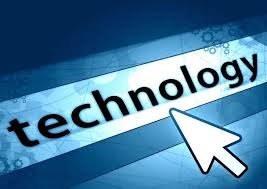 We are all hyper aware of the fact that technology changes so fast that its difficult to keep up or even stay in the game. This has always been an issue for me, particularly with our beloved running watches. While I WANT the latest & greatest run watch, I don’t want to pay for it. And I usually don’t need all the bells and whistles that come standard on the high end models. What to do? I tend to buy based on price and my budget. I also try to keep it real. I’m not going to spend hours looking over the data from my latest run, so it’s not necessary for me to have a watch that records everything from my heart rate to my breathing. What do I need? Pace and distance. Splits. I like to look at my splits, briefly, like in the car after I finish a run, for maybe 2 seconds. Never on the computer. Never. 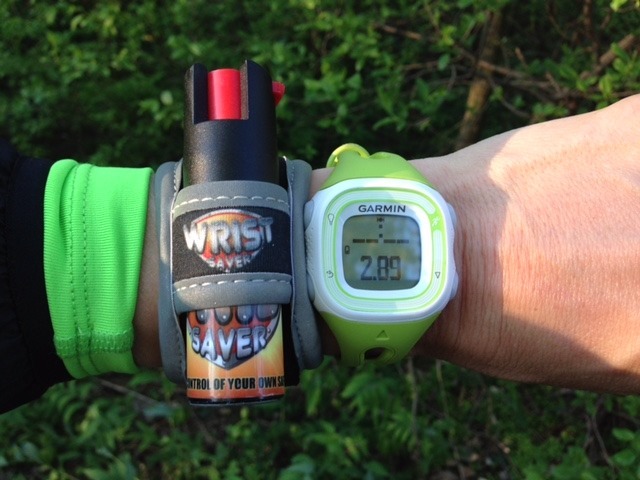 So I usually keep things simple with my run watches. Let’s look at the progression of my technology since 2007. 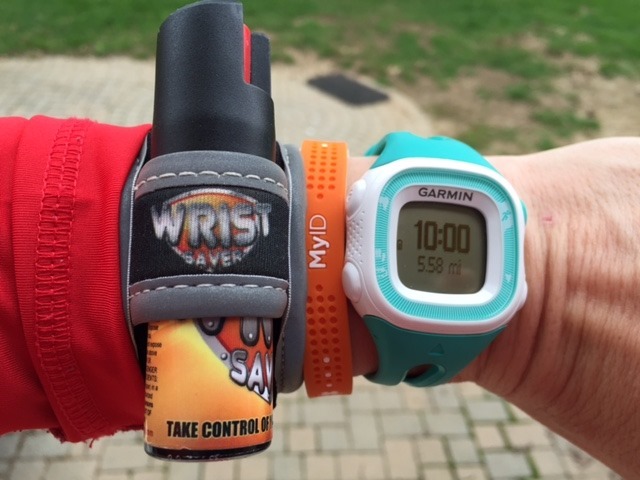 And let’s hope my hubby isn’t reading today cuz I’m also going to tell you what I’ve spent over the years on my quest for the perfect run watch. Yikes. Let’s get started before I lose my nerve! It was in 2007 that I first became interested in actually tracking my runs and knowing my distance/pace while out on the road or trail. 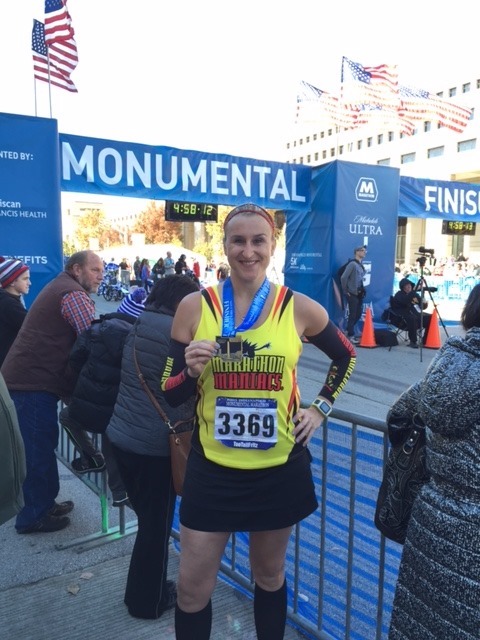 I was training for my first marathon and it wasn’t always convenient to plan my route with the car before I ran. We weren’t too far out from the release of the very first Garmin Global Positioning System (GPS) running watch that dropped in 2003. Those initial watches were big and bulky, overhung the wrist of most women, but all the cool kids had one, maybe you did too? It was a Garmin Forerunner 205. I never bought one but I think it’s important to drop a pic to remember this oldie but goodie. I believe the original price of this bad boy was $149 in 2003. Stock photo. 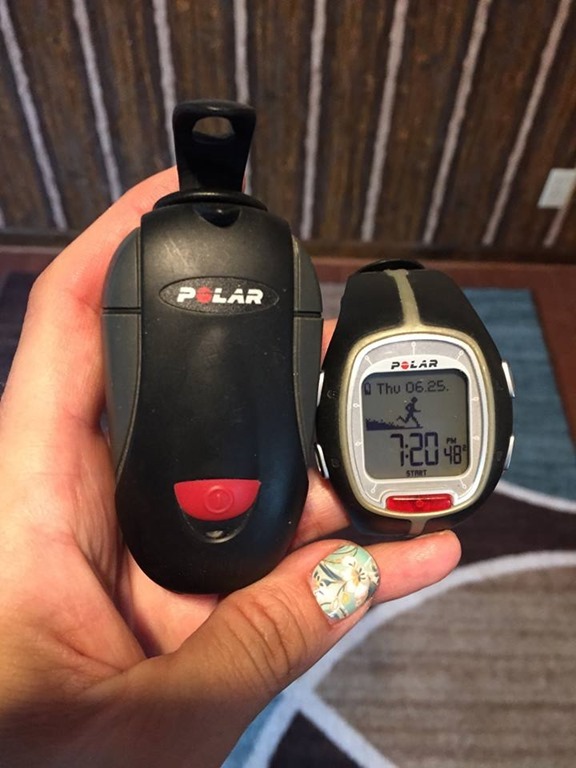 My very first run watch was the Polar RS200SD with Heart Rate Monitor & an S1 Foot Pod. No GPS technology on this watch, everything was measured via the foot pod. And EVERYONE asked me “what that thing was that was on my shoe”. Everyone. The watch was small enough that it actually fit my wrist. While I have a large body, I have a dainty wrist, so this was a good option for me. It was comfortable. Normal watch battery so it stayed charged forever. Foot pod had a AAA battery and would hold a charge for about 20 hours of continuous activity. I could swim with the watch but it would only record my time. I never used the heart rate strap and eventually lost it. The majority of the info the watch recorded was about heart rate. That’s what Polar does best, heart rate. 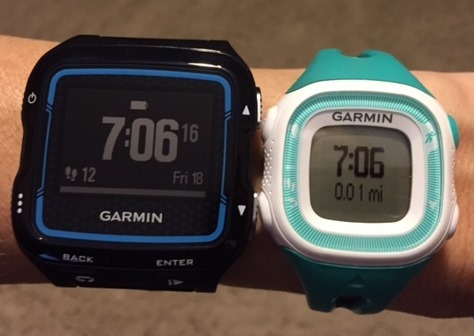 I could see my pace, distance and pull up my mile splits via the watch. However, I if I wanted to transfer the info to the computer & connect with other Polar users, I had to do so via a special microphone that worked sporadically. It was a pain, so I didn’t upload my data often. Overall, this was definitely a good device at the time. It was always ready to run while the runners with the “original” GPS watches were waiting for a signal, which they would promptly lose if we ran in the city or thru the woods. Original Price: $220 – with 10% discount at Running For Kicks, my cost was $198 + tax. Mel D. even set the watch up for me and handed it to me ready to run. Thanks, Mel. Stock photo on the left, my package on the right as I was putting it on eBay last year sans HR Chest Strap. From the Polar, I moved to the Nike+ GPS Sportwatch (powered by TomTom) with shoe sensor. Since I don’t run in Nike shoes, I always had to cut a spot out of the sole of my run shoes (under the insole) for my sensor. There was a little pouch I could have bought to tie the sensor/pouch to my laces but after years of having a huge Foot Pod on my shoe, I didn’t want to tie the Nike+ Sensor to my laces. Sensor was optional anyhow, not needed when GPS was available. The watch was fun. It popped messages if I didn’t run within a couple days. Always acknowledged new PRs. Sent me motivational messages. And the display numbers were HUGE. I could always see it while I was running, even when I was running really fast. Cuz I could run fast when I owned this watch. But it was big, with a long face that overhung my wrist. The face of the watch was hard and stretched across my entire wrist bone. 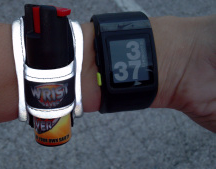 It slid around when I was sweaty and I never knew if I wanted to wear it atop or on the inside of my wrist. It was either too tight or too loose and never just right. The end of the watch band actually revealed a USB plug and would plug right into the computer. Super easy charge, manage and upload info. I liked this watch a lot. It was $199 from Nike.com. I had a $50 gift card, so my cost was $149 + tax. Free shipping. 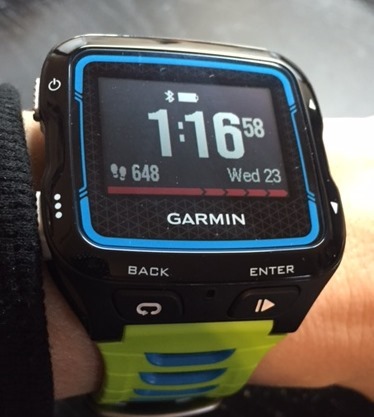 From the Nike+ GPS Sportwatch, I moved to the Garmin Forerunner 10. I really wanted a watch for triathlons but was too cheap to spend the $$. The Forerunner 10 fit my wrist. Holy Heck, a watch that I could run with that would sit on my wrist and not overhang. What a concept. It was comfortable. 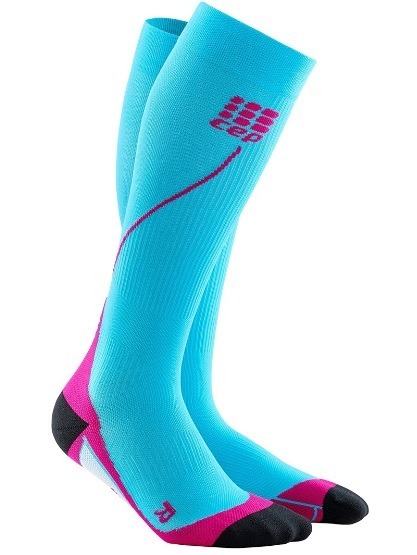 Cute, came in multiple fun colors. Focused on pace, distance & time. I could pull my history, past workouts and/or mile splits directly from my watch. I was IN LOVE. Perfect watch for me. Not too fancy. Not too complicated. But it didn’t link up to GP S satellites very quickly when I was in a new location (or even at a regular hang out) and the battery didn’t last long. I was starting to run a lot of marathons and my max battery life on the Forerunner 10 was 5 to 5.5 hours. Sometimes I run marathons slow. Sometimes I run marathons in the woods. Sometimes I run longer than a marathon. My perfect watch slowly became somewhat imperfect for me. It was easy to use, easy to charge with a USB on the computer/laptop or via the USB charger for the car or wall outlet. Easy to link up to Garmin Connect. Great beginner watch. So great that I bought one for Aby. All in all, we’ve had 3 of these Forerunner 10s (green, pink & a purple which replaced the pink after repairs from Garmin). I bought both mine & Aby’s from REI. I used EBates to get 5% cash back, plus I got 10% back on REI dividends at year end. EBates referral code HERE if you want to save $$ shopping online but don’t yet have an account. Original price: $129, my cost $109.65 + tax. Free Shipping. 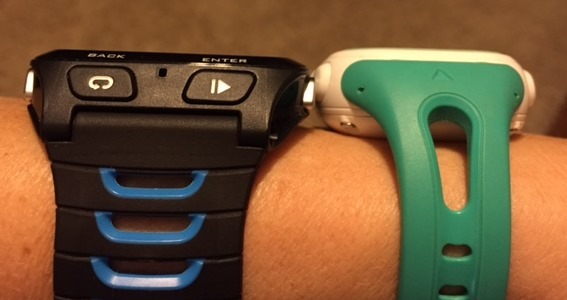 I loved the Forerunner 10 so much that I moved over to the Forerunner 15 when it was released. Longer battery life, plus a few more bells and whistles. 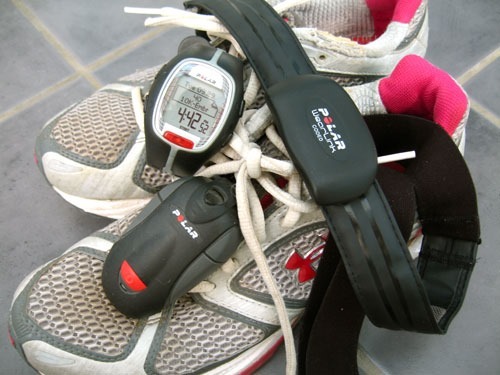 It counted steps and mileage indoors, even when the GPS wasn’t activated. This came in super handy as I ran lap after lap on the indoor track at the YMCA when the temps and wind-chill plummeted in the winter months. But it didn’t help me in the TRI world. The GPS would work on the bike but not for outdoor swimming. The watch still took a bit to sync up with a satellite & I was still having issues with running out of battery life while running & biking. It was advertised to have 8 hours of GPS battery life but I rarely got that. But the watch looked good. 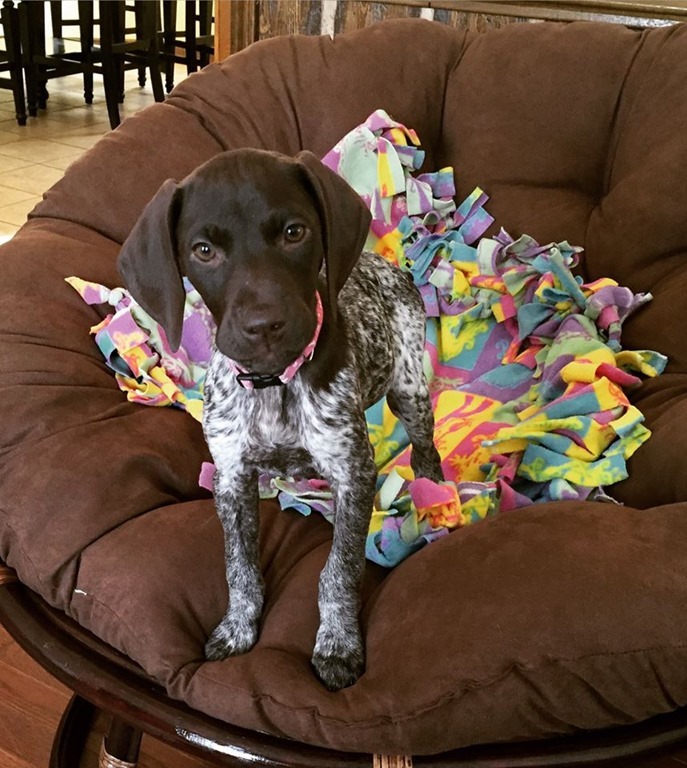 I love all things aqua so we’ll probably never part with this baby. Aby is using it now. Original retail was $169, I got this “New with Tags”, in the box, on eBay for $129, free shipping, no tax. I still needed a TRI watch, are you beginning to see a theme? I also was interested in monitoring my heart rate and possibly starting some heart rate based training. But I didn’t want to wear the chest strap. Very few watches monitor heart rates off of a sensor in the watch (vs a strap). Plus if I was going to buy ANOTHER watch, then I wanted to make sure that it would measure my swim distance, if nothing else. 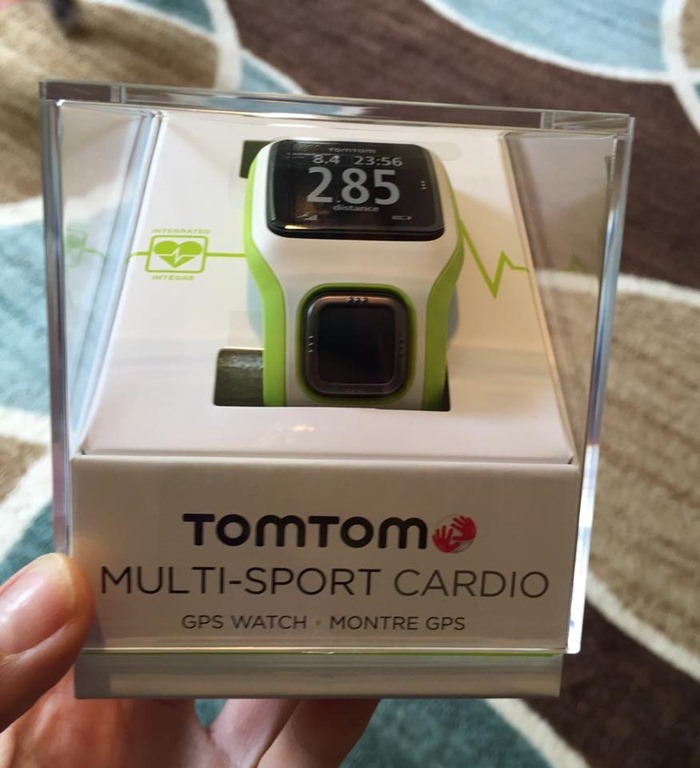 Enter the TomTom Multi-Sport Cardio. Wireless heart rate. Counts swim laps. Records biking. But doesn’t do swim/bike/run all at once in a Triathlon mode like most multisport watches. Battery life is only good for 8-10 hours. However, this baby must be downloaded frequently because if you are out on a run and it reaches the max amount of data that it can record, it doesn’t overwrite old data/workouts, it just shuts down. Really. I mean, REALLY? It also struggles to link up to a satellite. It is hard/stiff and big due to HR sensors being in the watch. Overhung my wrist. Moved around on my wrist and it wasn’t very comfortable. Lots of bells and whistles with this watch. It’s cute. It charges easily, workouts can easily be downloaded but you must stay on top of the downloading to have space to run, bike & swim. Oh, and it does NOT record outdoor swimming, only pool laps. Good bye, TomTom. 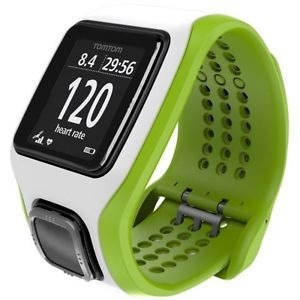 Original price was $249, but TomTom was offering a $40 race rebate after purchase. My cost: $209, free shipping, free tax. Last but definitely not least. 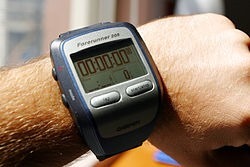 The Garmin Forerunner 920XT. It’s a real TRI watch. First, the satellite signal is so strong that it will link up as I sit at my desk, here in the house. It records indoor & outdoor running, indoor & outdoor swimming, indoor & outdoor biking. It links up to my phone via Bluetooth and I can review my workout via the watch, my phone or Garmin Connect on the computer. It uploads automatically, wirelessly when I’m within range of my network. It vibrates and notifies me of text messages, Facebook messages/notifications, Instagram notifications, events, etc. all on my wrist. I’m a little drop jawed over all this. I never knew that a watch that wasn’t an “i-thing” could so much. Plus it will seamlessly record all aspects of a triathlon. From swim, T1, bike, T2 & run. One time. Lots of splits. Battery life with GPS is 40 hours. Yes, 40 hours. May I never do any activity where I need to record data for 40 hours. Please. And Thank you. This watch is big but I strap it on my wrist and it doesn’t move. That’s right, it does not slide around. 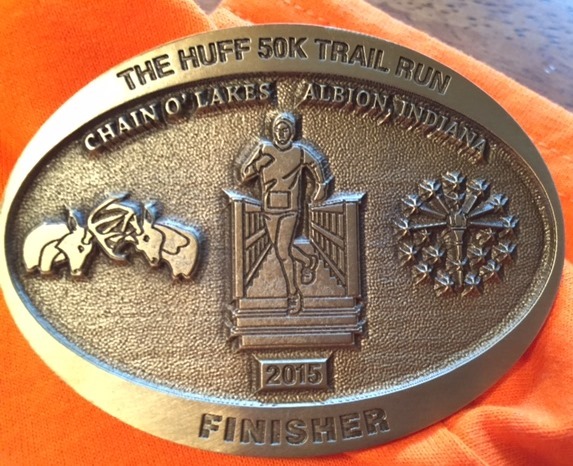 I wore it for almost 7 hours of running at the Huff 50K last week and it didn’t bother me in the least. Its comfortable. I’ve even been totally geeking out and wearing it during the day while I work. The face is bigger than I’m used to but it is lighter and thinner than the Forerunner 15. And smart. So freaking smart. I’ll probably never know everything this watch knows but I’m slowly figuring things out. Thanks to YouTube videos. So if you need a watch to do it all, including count your steps and your 02 intake (why do we need to know this?!?!) and your movement/non-movement and your sleep pattern, then this is your watch. I think I’ll just use it the way that I use most fitness watches & let it record my data, which I like to review from my watch screen. I’m so happy that I can once again see my splits from my watch. Big win! While most will consider it a waste of technology if I choose not to use all those glorious bells & whistles, I do fitness for fun and stress relief. If I take myself and my numbers too seriously, that’s not fun. 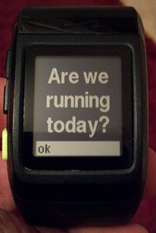 And then it produces stress trying to figure out what my watch wants to tell me. So there you have it. I now have a big fancy watch that does big fancy things but I’ll just be reading my text messages on it and recording normal swim, bike, run data. This baby has a monster price tag at $449 sans HR Monitor, $499 with HR. However, I purchased it Thanksgiving week when it was temporarily discounted to $329 (no HR). Then I used a deal at Running Warehouse where if I purchased a $200 gift card, I got a $50 card for free. Then I purchased a $50 gift card and got a $10 gift card for free. Complicated, right? That was $250 spent for $310 worth of merchandise $$, then I tossed in the extra $20 to bring that $310 up to $330. Free Shipping. Free Tax. Plus I had sold the TomTom above so had $100 credit toward my new device. Bottom line, I only have $170 into this beast. A couple pics below of my 920 XT compared to the Garmin 15 (which is Aby’s watch now). If you made it this far, you’ve probably come to the realization that I would have saved $$ from the start had I just bought what I wanted verses hopping around and trying to settle for subpar devices. Story of my life. One that hopefully you can learn from cuz it’s too late for me. I must say that I’m VERY happy I made the upgrade to the Garmin Forerunner 920XT. I’ll try not to geek out and learn all the things and be THAT crazy TRI person in 2016. Maybe. This was the third week of CrossFit Endurance. However, we only had class on Tuesday this week due to a scheduling conflict. So week 3, session #5. 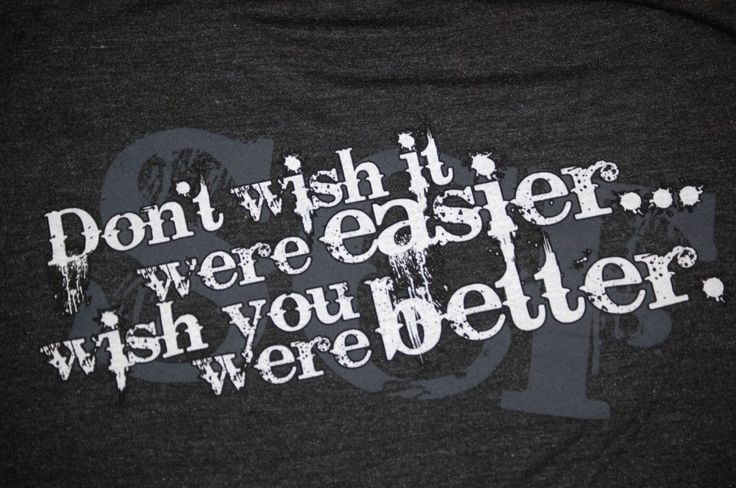 No, it’s not getting easier in case you were wondering. Warm Up – 1000 meter rowing. Sounds easy right? Yeah, not really. There is some sort of secret rowing technique that I’m unable to grasp. They tried to instill it in me at CrossFit New Lenox too. But I’m not on board. I feel like one of the kids by saying, “I just don’t get it”. Yeah, that about sums it up. I like to row but my technique is wrong. I’m open to doing it correctly but apparently don’t understand what my body is supposed to do. I’ll keep working on it though. I WANT to get it right. Hip Distractions – This really stretches the hips, hamstrings & glutes. A good warm up for runners. Strength – Sumo Deadlifts. These are getting better. We spent 10-12 minutes on this, which is a lot of time. 2-3 reps at a time. 35# bar w/ 30#s each side. 95#s total. Met Con – 3 rounds: 20 Russian Kettle Bell Swings, not sure on weight. 10 Burpees. The Russian KB Swing was new for me. It’s an extension of the squat movement we have been working. Squat. Swing. Stay tight. Let arms be dead. They shouldn’t be lifting, so KB only goes up to about chest level. Not a full swing like I’ve done in the past. 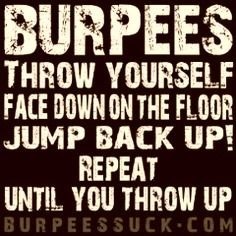 Burpees. Yeah, we all know what these are, don’t we? Still not fun. I could do burpees every day for the rest of my life and I’m sure they will still be hard for this long body of mine. 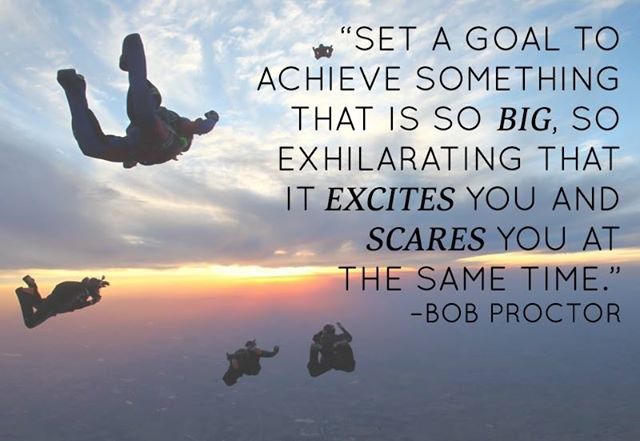 Great image below from RecaptureFitness. 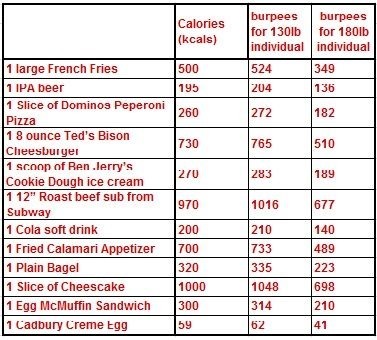 I personally think that everyone would eat healthier if we were all held accountable with burpees. I mean, if I had to get down and do 130+ burpees before each craft beer was released from my fridge, I bet I’d stop buying/drinking craft beer. How about you? So that’s a wrap on Week 3. I’ll see you next week! What else is up besides CrossFit Endurance? 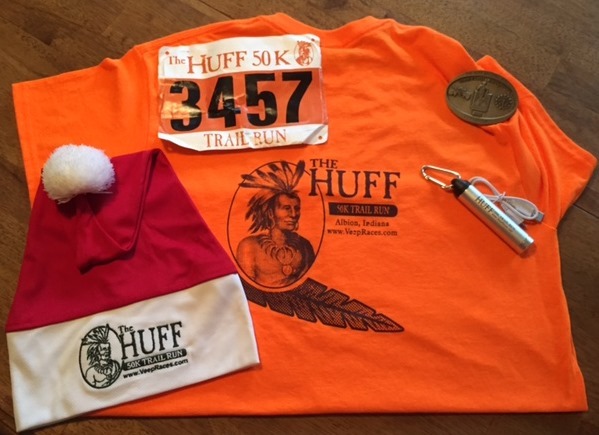 I have a Garmin Marathon giveaway going HERE, drawing is on Christmas Eve. 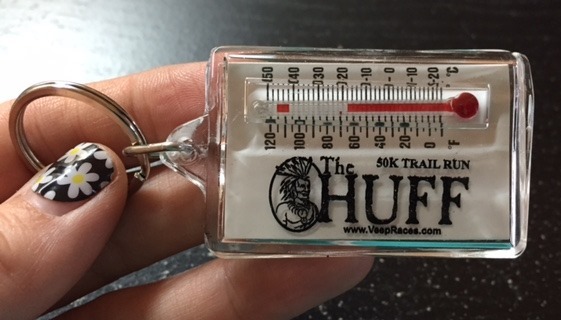 And I’m running the Huff 50K tomorrow. More on that next week. I’m not nearly as prepared for Huff as I normally would be but I think I can make it thru the 2 loops. To be continued on that saga. What women want. That is a timeless question. I could really say a lot on this but I’m not sure it would do anyone any good if I gave away ALL of our secrets, so lets focus on Christmas 2015. 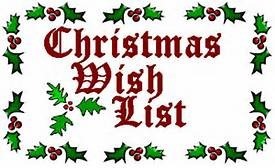 What women really want for Christmas is time. Honest. If you’ve been married more than 5 years, I guarantee your wife is bitchy tired. Okay, she is bitchy & tired. Especially if you have a couple of kids and some pets. She is tired of the laundry, cooking, cleaning, bill paying, and the stress of running a family while trying to maintain her sanity and not completely lose her own identity. To be honest, if she hasn’t totally lost it OR become one of those moms who toss back a bottle of wine every night before bed, you are lucky. And I’d suggest you tell her. Now. So how can we incorporate time into the 2015 gift giving? If your wife is into fitness then my number one suggestion would be a race registration. Be smart about it. 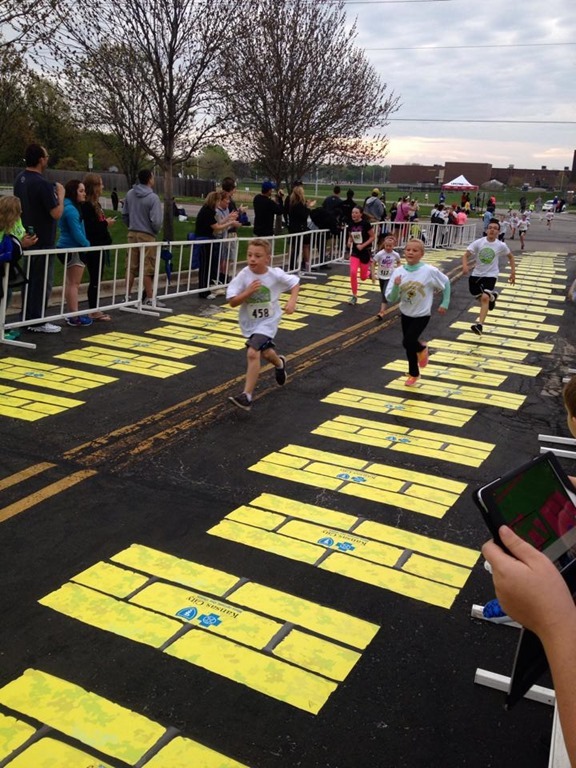 If she ran her first 5K this summer, don’t buy her a registration to the Flying Pig Marathon that I’ll be running on May 1, 2016. 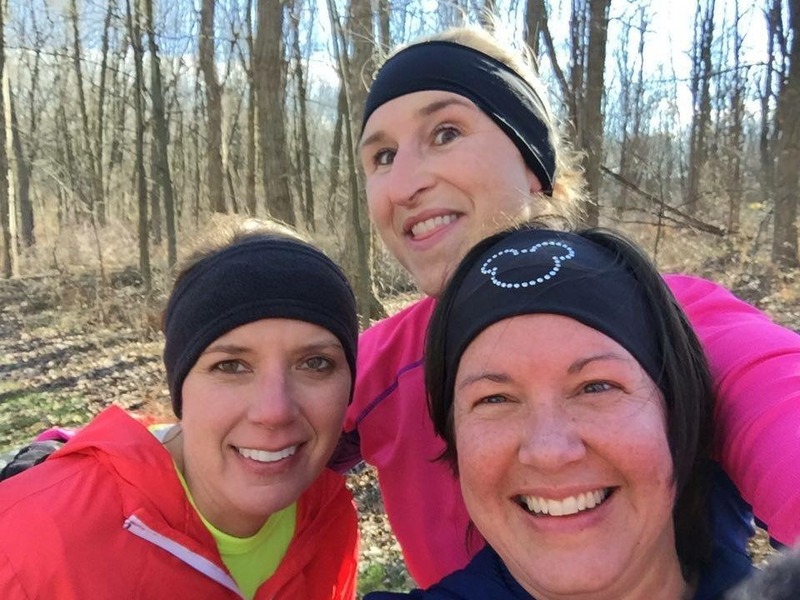 As a general rule of thumb, more women are registering, training for and competing in the half marathon distance than ever before. It’s manageable training for both wives & mothers, even those of us who also work. It can be done. This will make you look good without putting too much responsibility on you to watch the kids during a killer training schedule. Win. Win. 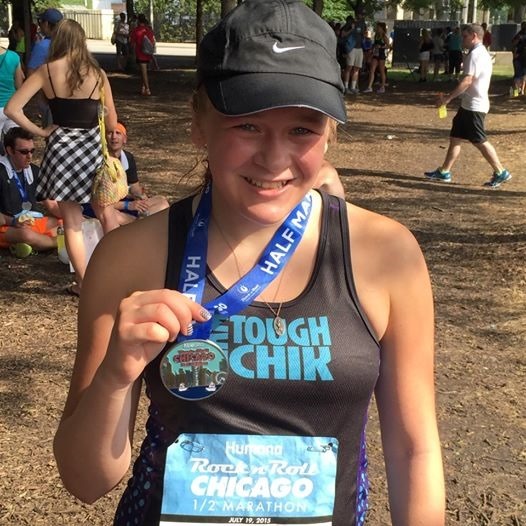 Register her for a local half marathon, like the Southwest Half Marathon & 10K in Palos Heights, IL or the Fort4Fitness Half Marathon, 10K or 4 mile in Ft Wayne, IN. Price range: $45-$80 depending on the race and how far out it is from now. Early registration = $$ Savings. 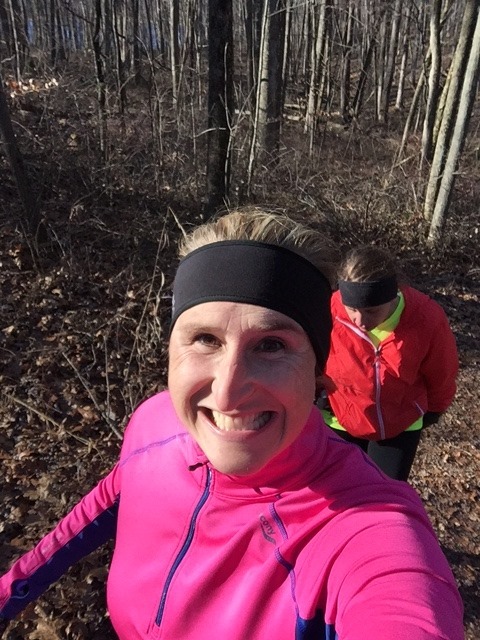 Now that winter is upon us, there are a few things that your wife might need for her outdoor runs that she probably hasn’t wanted to spend the money on for herself. Mom’s are notorious for feeling guilty about buying things for themselves. Even things that are as much a necessity as a want. Is she running in the dark? If so, she needs some sort of headlamp or light. I prefer the Knuckle Lights so that I can quickly point them in the direction of any sound or movement. Find them on Amazon HERE for $39.99 per set. Fun in the snow? Yes, please! 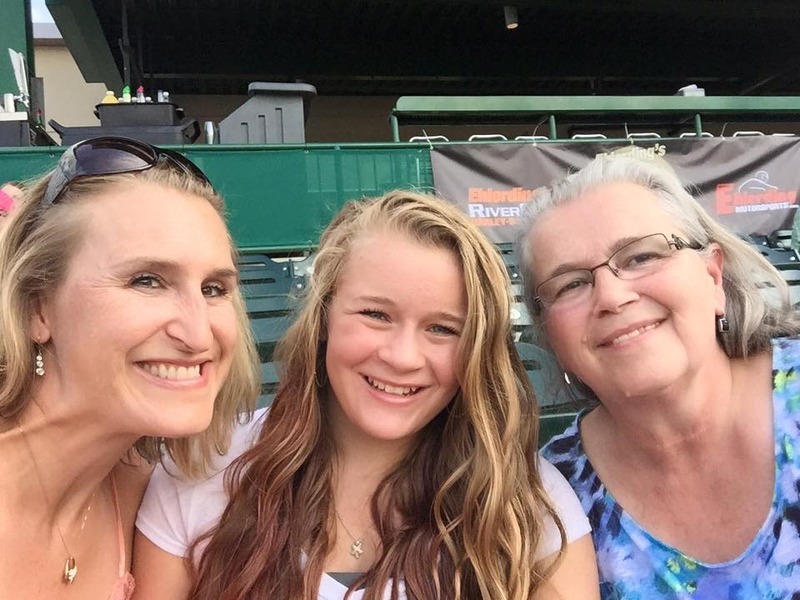 Mom’s like to have fun outside too! Few things make me smile more than running in the snow. I grab my YakTrax for some added traction and I go! I prefer the YakTrax Pro, with the springs, no spikes. I usually run on a variety of terrain. Even if its super snowy, sometimes I hit a street that is plowed and I’m down to blacktop before I know it. Not a problem with the springs! $29.99 per set. There are 4 gift ideas, all under $100. Hope that helps you find something for the special active lady in your house! And if the budget it tight, then skip all the above, and just take the kiddos out to play for a couple hours so that she can rest. That will be just as good as a gift under the tree. Promise. I wish all of you a very Merry Christmas. And remember that time is one of the most precious gifts you can give, whether its time spent with loved ones, or time you give your significant other for themselves. Time is a very precious commodity with the busy lives we lead. The past week has been a blur. Michael brought home the flu last week and I’ve been sick on and off since last THUR night. When my alarm rang on Tuesday morning at 4am, I was not feeling good but decided to go to CF Endurance since it only meets 2x per week. I REALLY did not want to miss it. I want, no, I NEED to regain my strength. It’s important to me for a lot of reasons. In my world a strong body is way more important than a thin one. Ever heard the quote, “Strong Is The New Skinny”? Strength, both emotional and physical, that’s what motivates me. What motivates you? Regardless of what I wanted, heading to CF Endurance on Tuesday was not the smartest move. I choked on just about every aspect of the workout, including the warm up. I was absolutely exhausted, had zero energy and just about as much focus. I look back at the pic of Tuesday’s white board and can hardly even remember anything other than how fatigued I felt. Thank goodness I was back on track today! Here is a recap of what CrossFit Endurance at CrossFit Tactical Strength in Ft Wayne, Indiana looked like for Week 2. Warm Up – Squats – 30/20/30 – Initially with bands around our knees, no weights, then we added in a weight bar. I think. I was already exhausted by this time and we hadn’t even gotten started. I remember that we counted. Out loud. Together. And I didn’t want to even do that. Strength – Box Squats – 10 minutes. We started with the bar only, 33#s for my group, then did a back squat onto a box (or bench for those of us who are extra tall). Progressed by adding weights, 10#s each side, 53# total. The first graphic shows the movement, the second shows the form better on the back half of the movement. Goal being a good squat and to load the glutes & hamstrings, not the quads. Sumo Deadlifts – New skill for our newbie class. Bar only. Progression on the squat movement. It was a bit of a struggle for me because I’ve only done traditional deadlifts. So I wasn’t keeping my feet far enough apart or getting my knees out enough. Here is a great explanation from PeakPerformance365 on the difference between the two deadlifts. Graphic below is from the same source. • Sumo deadlift. Sumo deadlifts shift some of the emphasis to glutes, hamstrings, quads, hips and upper traps. If you are experiencing lower back issues, or have a history of lower back problems, sumo deadlifts may be a better option. Traditional deadlift pictured on the left. Sumo deadlift on the right. Metabolic Conditioning – AMRAP (As Many Rounds As Possible) – 3 min. 10 Sumo Deadlifts, 10 Push Ups. Rest 1:30, repeat. Yeah, I was exhausted way before this. I “lucked out” and got the bigger bar for deadlifts, so that was already 45#s, then I had to add 10#s per side. Not my idea, ok. And I didn’t use my words and say this was too much for my ailing body. My bad. So I was 65#s with the Sumo Deadlifts and I didn’t do well. Feeling better today and we are finally starting to move into some real workouts. I was super happy about our WOD today, or the “Met Con” section as they call it at this box. This was our 4th class and it’s good to see that we are getting somewhere, slowly but surely. 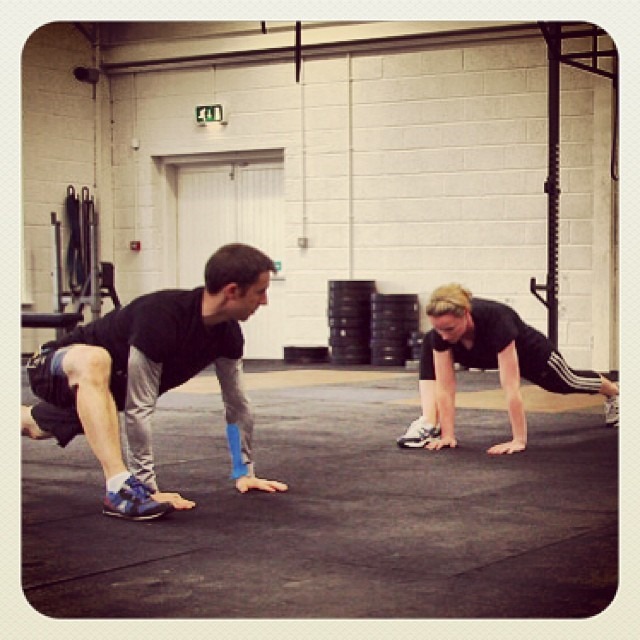 Warm Up – 4 Rounds – 10 seconds ea: Jumping Jacks, Air Squats, Mountain Climbers, Lunges. All traditional things, only twist was with the Mountain Climbers. We had to take our forward leg OUTSIDE our arms. Made it way tougher and very awkward. 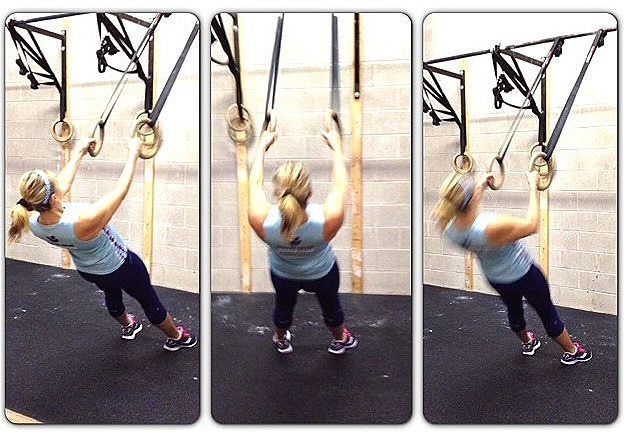 Great image from CrossFit Oakgrove below to show the exaggerated movement. Mobility – Hip Distractions with a slight variation to work on additional flexibility to ankle. Strength – Push Press. 12 min. 33# bar, progress to 10# weights on each side. 53# total. Yay, something I recognize! Graphic below from CrossFit Gardendale. Metabolic Conditioning – 3 Rounds – AMRAP in 1:30: Sled Sprint + Max Ring Rows. Rest 1:30, repeat x3. Working on anaerobic threshold. Short burst of intensity to exhaustion and it worked. I couldn’t breath after pushing the sled. And I could barely pull myself up for the ring rows. Plus they wanted us super low on the ring rows so it was even harder. Sled image first, we used one 25# plate and that was plenty. I liked this graphic because the lady is pulling her knees up high (like a sprint), which was what we were supposed to be doing. Ring Rows second, old pic of me at CrossFit New Lenox when I was thinner and stronger. We were lower today, or supposed to be closer to the ground with out feet out further. Tough. And that’s a wrap for Week 2. So far, I’m super happy. This is definitely different than what I did at CF New Lenox but it’s good. 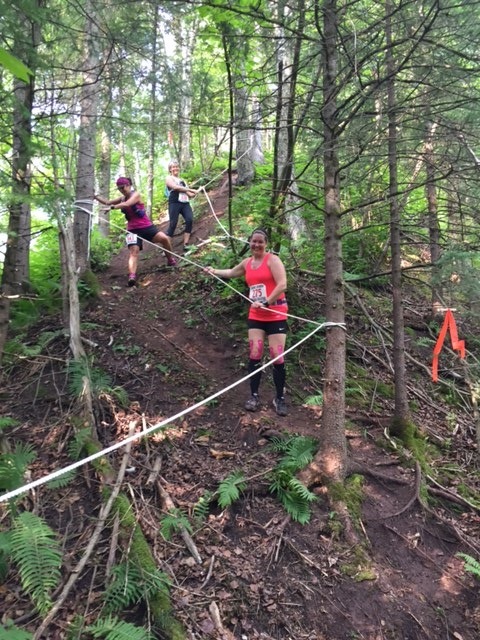 The current Endurance course is like a cross between personal training, physical therapy and CrossFit. We are spending a lot of time now trying to get critical movements to become second nature as our muscles build memory. After that we can build with more skills, or add onto the basic skills for more complex movements. I look forward to where we are headed! How about you? 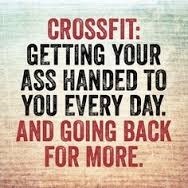 Crossfit? Love it or Leave it?